Winga Wonga! This site is about Neslort, Neslorchestra and the music of Rick Trolsen, Find information here on the bands that Rick leads, the music he has composed, the special projects in which he is involved as well as the story of Rick and his music. 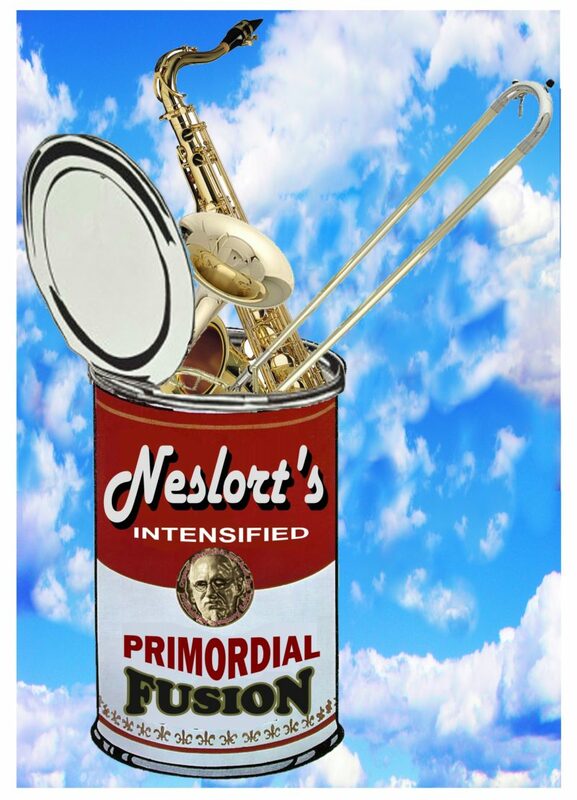 Neslort is organic alternative jazz / rock featuring the compositions of trombone wizard, Rick Trolsen. We know that four dimensions make up the space-time continuum. If music is the fifth, then the realm of thought which brought us the band Neslort is an example of the sixth. This musical group is so essential to Rick’s inner vision that savvy music lovers will notice: Trolsen is Neslort spelled backwards. Astronomers know of stars that shine blindingly bright which then retreat to gather energy for the next appearance. That surely is true also of Neslort across its 25 year history which includes three albums and multiple appearances at the hippest New Orleans music festivals and venues. Now the Star of Neslort has returned in its boldest and brightest apparition to date as Neslorchestra. Within his compositions for Neslort (and Neslorchestra) Rick brings home all influences from a life spent in the modern jazz, rock and funk era. There is Big Band and Bebop in there, and yes, also Zappa. The music includes symphonic, intricately composed layers. Add to the blender a few Eastern European Folk tunes plus a dash of Circus music. And all those genres are underscored by a 21st century combination of both purposed and improvised jazz defined as Primordial Fusion. The best way to “get” Neslort is to experience Rick compositions live as total aural immersion. The music is fun, exhilarating, challenging, and new. It’s certainly not meant to be background music! Neslort ( www.neslort.com ) is organic alternative jazz / rock featuring the compositions of trombone wizard, Rick Trolsen (formerly of Bonerama,) this aggregation dashes through a myriad of styles, hidden behind a fat New Orleans groove, undetected by the unsuspecting ear. Neslort originally formed back in 1991, played around New Orleans and made 3 consecutive performances at the New Orleans Jazz and Heritage Festival, but then disbanded in 1998. Back by popular demand, the group has re-formed and currently has a new CD, "Mystical Scam" releases in November 2010 from Lort Music and Threadhead Records.. The music of Neslort pulls from straight ahead rock, middle-eastern, jazz, funk, as well as some group improvisations scattered in amongst the compositions. The music is fun, exhilarating, challenging, and new. It's certainly not meant to be background music! Neslort ( www.neslort.com ) is organic alternative jazz / rock featuring the compositions of trombone wizard, Rick Trolsen (formerly of Bonerama,) this aggregation dashes through a myriad of styles, hidden behind a fat New Orleans groove, undetected by the unsuspecting ear. Neslort originally formed in 1991 made 3 consecutive performances at the New Orleans Jazz and Heritage Festival, but then vanished into fond memories. Responding to popular demand, the legendary group has re-formed with new music and a new CD, "Mystical Scam" released in November 2010 from Lort Music and Threadhead Records.. The music of Neslort pulls from straight ahead rock, middle-eastern, jazz, funk, as well as some group improvisations scattered in amongst the compositions. The music is fun, exhilarating, challenging, and new. It's certainly not meant to be background music!